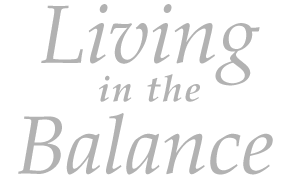 Click on the links and you’ll find a PDF copy of the current or back issues of my journal Living in the Balance. Each journal includes my musings for the month and a list of programs, events, and on-line offerings that may be of interest. The programs and events are regional with a variety of faith traditions represented.